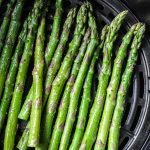 Try this easy and quick air fryer asparagus recipe that is Keto and weight watchers friendly! Great healthy side dish for your dinner and the best alternative to the potato fries. 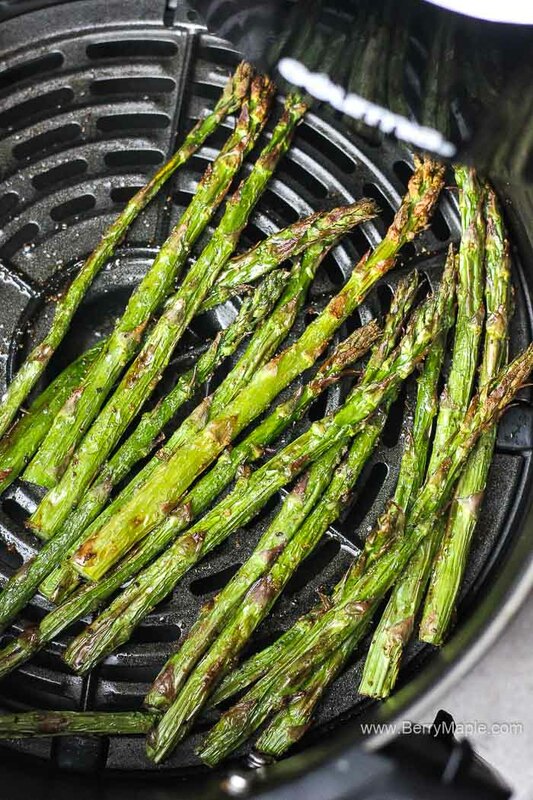 The asparagus cooked in the air fryer would be a great side dish to Air fryer Steak or to Air Fryer Salmon fillets. Asparagus is in season here, in Northern California i want to visit an annual Asparagus Festival in Stockton. Will be so much fum! If you are on KETO diet, air fried asparagus will be your best friend- crunchy, low carb and a great side to all of your meat and fish dishes. This whole recipe is Weight watchers approved with only 2 smart points. Try to wrap asparagus in bacon for more interesting flavor. everything is better with bacon! 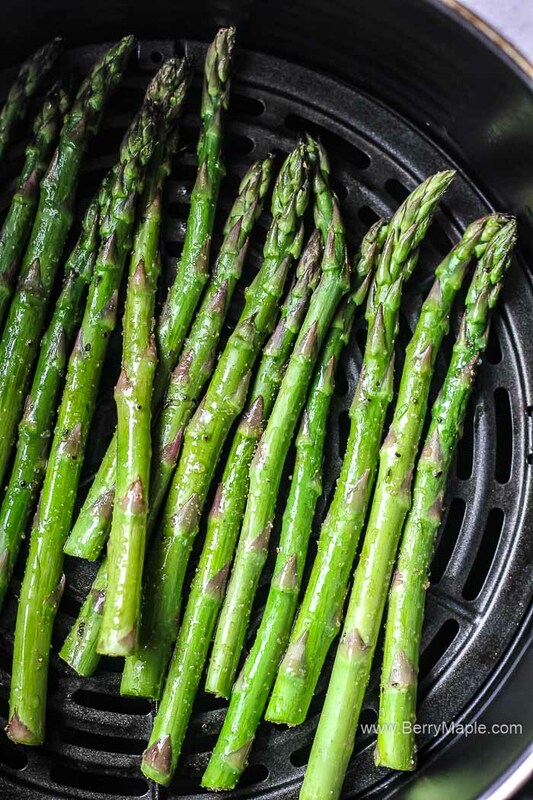 I like my asparagus to be cooked at 400 degrees for about 7 minutes. Cut couple minutes for a more crunchy texture. 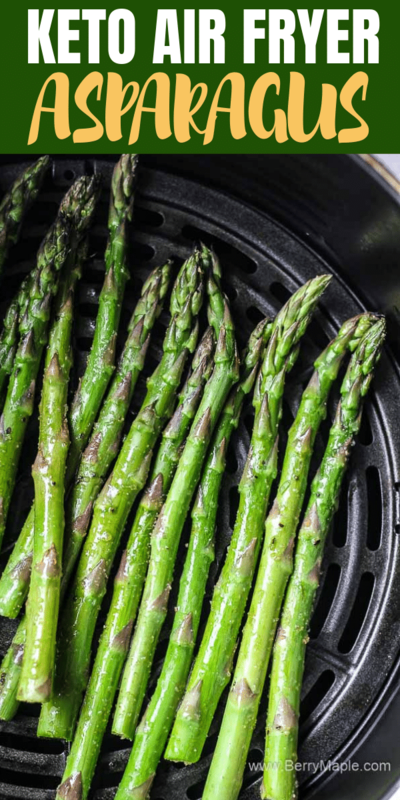 You can also try to sprinkle some freshly grated Parmesan cheese on top of asparagus, or add some fresh minced garlic. Cut dry parts from the asparagus. 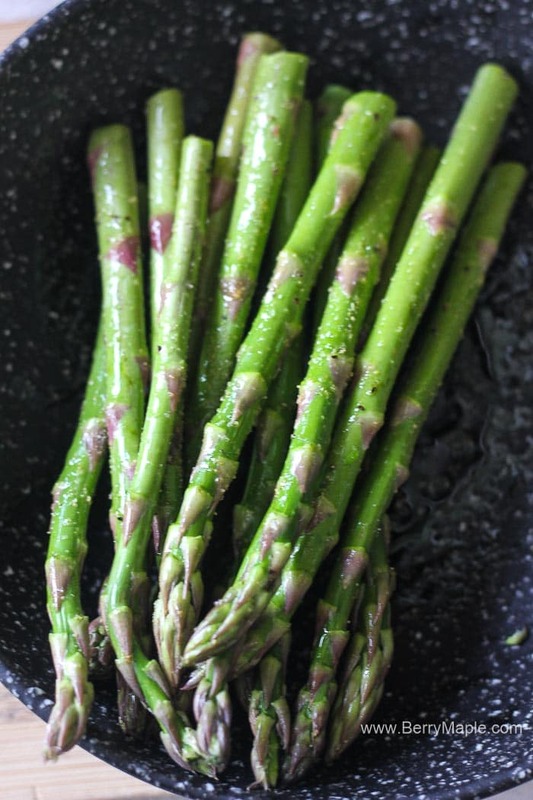 Lightly brush asparagus with the oil and sprinkle with salt and pepper. Place in the air fryer for 7 minutes at 400 degrees. Shake or turn once.